Over one million international students and scholars currently reside in the United States. They have come from every corner of the globe to study here. But being away from family and immersed in a foreign culture can be lonely and disorienting. By some accounts, fully three-quarters of these students will never set foot in an American home. Two-fifths haven’t developed a close friendship with an American. We want to help change that. Bridges International is a caring community of Christ-followers committed to serve, promote social connections and engage in spiritual conversations with international students so that students become leaders internationally. Local chapters of Bridges groups exist on campuses throughout the U.S.
As part of Bridges International, the Chinese Network is focused on the largest segment of international students in the U.S. — those coming from China. There are now over 300,000 Chinese students and scholars in the United States, many of whom represent China’s best and brightest. And these numbers continue to grow! We desire to help develop leaders among Chinese international students so that they can make a lasting difference in their world. 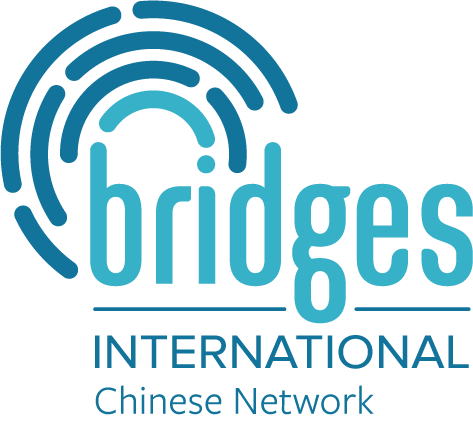 In particular, the Bridges Chinese Network seeks to encourage, empower, and equip those engaged in cross-cultural ministry to Chinese international students. Toward that end, we aim to provide cross-cultural perspective, tools, and expertise for those engaging Chinese and scholars. Additionally, we provide venues to challenge Chinese students to develop as spiritual leaders. And we strive to establish networks among those ministering to the Chinese for collaboration and encouragement.